Hearty, smoky and a little sweet! Really delicious and easy to digest red lentil soup! 1 lemon - squeeze over bowl when served. Fresh herbs - like cilantro or parsley are nice for serving. Sauteed kale or dark leafy green with garlic makes a nice side or topping. Dark leafy greens are great at every meal. In a large soup pot, heat 2 Tbsp olive oil over medium heat. Add onions, carrots, and celery; cook and stir until onion is tender. Stir in garlic, bay leaf, oregano, cook for 2 minutes. Stir in lentils, stock, half the water, tomatoes, and remaining spices - cayenne, paprika, cumin. Bring to a boil. Reduce heat, and simmer for at least 20 min. Season with salt, pepper and anything else. I like to blend about half of the soup in a blender and then re-combine. It as a smooth, creaminess to the soup. Be careful blending while soup is hot and only fill blender half way as the heat creates pressure! Once in bowls, add any chopped fresh herbs (I love cilantro) and a squeeze of fresh lemon. This post is to teach you the basics of how to think about blending essential oils! Dark meets light in this salad. 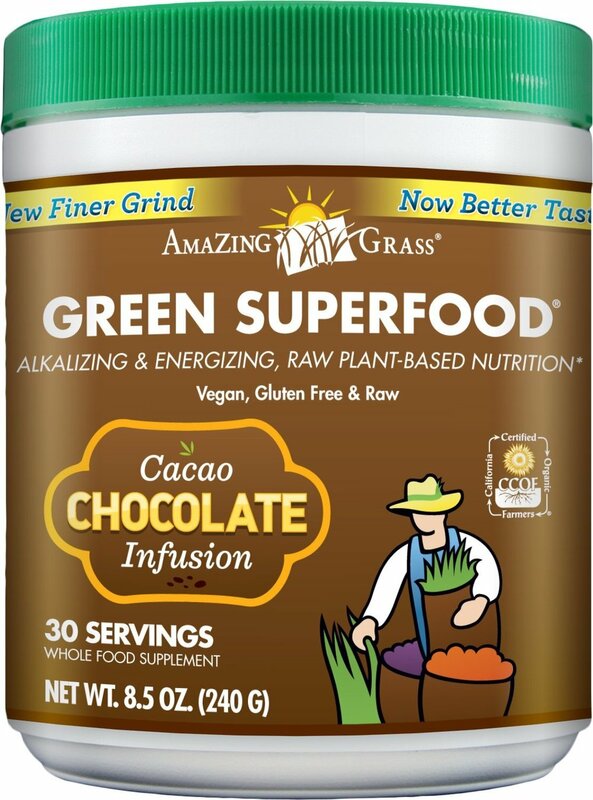 Nutrient rich with a beautiful blend of full, rich and fresh flavors! Mixed Greens + Kale with roasted squash, quinoa, pomegranate seeds + toasted cayenne pumpkin seeds. Estimated Prep Time, with Squash: 20 minutes. Estimated cook time, with squash: 40 minutes. Depending on squash size, about 3-5 side servings of squash. About 2 Tbsp Olive oil + a touch of Red wine, white wine or balsamic vinegar. 1) Follow the recipe to roast the kabocha or butternut squash (below). This is the longest prep piece of this meal, I promise! 2) In a small pan on low heat, toast pumpkin seeds with juice from 1 lime and a few dashes of cayenne pepper. 3) Cut pomegranate and scoop out seeds. 3) Scoop (with a spoon) 1/2 of avocado, and chop avocado. Add into your greens and mash avo into into the greens with a few tablespoons of olive oil. This adds creaminess to the salad! 4) Add quinoa and toss with greens. 4) Add everything else on top - squash, pomegranate seeds, sliced avocado and pumpkin seeds. 1) Cut the bottom side flat and begin to peel. Use a sharp knife, and cut in semi-circles around the squash, from top, curving around in a C-shape, to bottom. This might take you a little while. Be patient and have fun with this amazing squash. If you’ve never had it, I promise, it’s worth it! 2) Cut in half, and scoop out the seeds in the middle. 3) Place middle side down on the cutting board, and begin to cut across, about 1/2 - 3/4” thickness. 4) Place in a large wide bowl, and season. Use ample amounts of olive oil, around 3 tbsp or until well-coated, 1/2 tsp salt and a few grinds of pepper. Or try the blend below! 5) Roast for 20-25 minutes. Stir after about 10. If you like more crispy roasted veggies, leave in for 30-35 minutes. Squash and orange veggies are rich in beta carotene, which our bodies use to make Vitamin A. Recent studies in the field of epigenetics show that betacarotene and other carotenoids can turn on certain genes to help to prevent the growth of cancerous cells in the body. Epigenetic's is a super fascinating field - check it out! A power dinner to start you week off right. It’s simple, super fresh tasting, and loved by many. Even if you’re not super comfortable with cooking fish, try it - and use a non-stick pan when cooking to make it easy. You will come back to this one again and again! Total cook time: 35 minutes. Serving Size: 1 dinner portions plus roasted brussel sprouts leftovers for lunch tomorrow. 1) Heat oven to 375. Wash and cut brussels sprouts in halves or quarters, depending on how big they are. Toss in a bowl with 1 - 2 tablespoons of olive oil, and a couple pinches of salt and pepper. Bake for 25 minutes, until beginning to brown. 2) Clean fish. Rinse in cold water and pat dry with paper towels. 3) Season fish on a plate with a drizzle of olive oil. Rub oil to coat entire piece of fish, on both sides. Sprinkle with a couple pinches of each salt and pepper. Let it sit out at room temperature for a few minutes. 4) Make your green herb sauce. Recipe here. Once your veggies + sauce are ready, cook your fish so it’s hot when you eat. 5) Heat a small non-stick pan with a teaspoon of olive oil for about a minute. 6) Reduce heat on pan to medium. Add fish, skin side down (ie- skin side on the pan). Make sure there is enough oil that gets between the skin and pan so that it does not stick. Cover to create steam in pan. 7) After about 3 minutes, use a spatula or tongs to flip to the other side. Add a another drop of oil and move fish around in pan. Cover and cook about 2 minutes on this side. 8) A fish with medium thickness will still be on the rare-side in the middle and perfectly cooked if you like this style of fish. If you prefer fish cooked all the way through, heat your oven to 400 degrees, place fish on pan and cover with aluminum foil .Cook for about 10 minutes. Fennel + mixed greens with beets, grapefruit walnuts + avocado. A beautiful, delicious salad! Open this in the middle of your day for a recharge of bright energy. Chop slowly + carefully. Fennel tastes best when sliced thin! Prep time: 10-15 minutes of chopping. 1) Slice fennel. This is the most important step in making this salad taste great. Slice in half, and place flat side down. Start from the top and of the bulb, and create super thin slices! Save half of the fennel you chop for your salad tomorrow. 2) Segment grapefruit. Segment is a way to remove the inner pieces without all the pith (white around the fruit). 3) Toss mixed greens and fennel with 1 tablespoon olive oil. 6) Layer salad. Greens + fennel —> beets —> avo — nuts —> another small drizzle of olive oil, S &P.
If you want to make your own hummus instead of buy it, and if you have a food processor - here’s one of my favorite go-to healthy recipes. It works for the detox program with lots of greens + beans. You can make it in a blender, it will just come about a bit chunkier, but still tasty! 4)Heat 1 Tbsp olive oil in sautéed over high heat and add garlic and chickpeas for just 3-4 minutes until warm. Stir often. 6)Taste test and add more olive oil, S+P as needed. This soup has a fresh but hearty feel. One to satisfy on a cool day, and tastes even better the day after you make it, so be sure to make extra. If you love to make soup, you know by now that most of the work is in the chopping. So get through that, and the rest is easy ! Serving Size: 6 - Save + freeze this soup. It’s a winner! 2 small or 1 large yellow onions, chopped. 1 zucchini, peeled and chopped into 1/2-inch pieces. 1 16 oz can whole tomatoes. 1) Chop onion, garlic and celery. 2) Heat olive oil in a large soup pot over medium-high heat. Add the chopped ingredients and cook until translucent and edges begin to brown. About 5 minutes. 3) Add wine (optional) and 4 cups of stock. Use your wooden spoon to stir up the brown bits on the pan. Add the diced tomatoes. Bring to a boil, and then reduce heat to simmer, and cook 5 minutes. 4) Chop celeriac, carrots, fennel, zucchini. 5) Add all chopped ingredients + thyme and Parmigiano-Reggiano rind; stir well to combine. Cook on medium heat until vegetables are fork- tender, 15 to 20 minutes. 6) Rough chop escarole into big pieces - about 2 inches square. 7) Stir in escarole and cook until escarole wilts. Season to taste with salt and pepper. 8) Serve + top with fresh chopped parsley and a squeeze of fresh lemon. 1. Prep salmon. Wash with cold water and pat dry with paper towels. Coat with 1-2 tablespoons of olive oil, season with salt and pepper. 2. Cook quinoa to fluffy texture. Heat water. Measure out 1 and 3/4 cups water, add back to pot with 1 cup quinoa and a few pinches of salt. 2. Cut carrot into matchstick size. Shave cabbage. Dice pepper. 3. Steam edamame in steamer bowl or microwave. 4. Make dressing. In a small bowl, combine peanut butter, soy sauce, vinegar, sesame oil, and lime juice, stirring well with a whisk. Drizzle over bowl. 5. Heat sautee pan to high heat. Sautee salmon for 3 minutes on each side. 6. Prepare bowl and top with dressing. Enjoy! 1 teaspoon sherry vinegar or white wine vinegar. 1 quart Brussels sprouts, shaved thinly by hand or food processor. Or buy already shaved. 1. Toast walnuts on a very low heat for 3-5 minutes. watch them while you toast. they burn easily. Then chop walnuts into bite size pieces or smaller. 2. Make dressing. Add the mustard to a bowl. Then slowly add olive oil while whisking. Then add the lemon juice, vinegar and finely chopped parsley. 3. Toss shaved Brussels sprouts, walnuts crumbles, loose parsley and (optional parmesan cheese) in a salad bowl with the vinaigrette to your taste. 4. Season with salt + pepper. Add bite-size walnut halves on top to serve. Cut kale away from stems. Chop kale really well. Slice apple. Place in a small bowl and toss with about a teaspoon of lemon juice. Make dressing - whisk 2 tablespoons olive oil + 1 teaspoon of lemon juice together. Then add 1/2 teaspoon turmeric + 1 teaspoon apple cider vinegar. Toss kale in dressing. Massage kale for about a minute or two - literally running your fingers over the kale, gently massaging it. This encourages the tough fibers to break down and become easier to chew as well as easier to digest. - you can dress the night before - it will be great tomorrow. Add apples + pumpkin seeds and toss well. Season with salt + pepper. Top with tempeh. This is a seriously delicious makeover on your Friday night. Cauliflower crust pizza is thin and gets nice and crispy! It's not the same as regular pizza, but it's delicious in it's own right. And with amazing grocery stores like whole foods + trader joes, you can buy cauliflower already “riced” or well chopped, and prepare this crust in just 10 minutes. Or using a good processor you can finely chop the cauliflower in just a couple minutes at home. 2 cups of riced cauliflower. Goat cheese, or skip the cheese. 2. Mix chia seeds in a bowl with 1/2 cup of water and leave on counter for 20 minutes. 3. Rice the cauliflower if you have a head of cauliflower. (Chop into latee florets and place in food processor until cauliflower is a fine, crumbly, rice-like texture). 4. Measure out around 2 cups and place into a large bowl, add in the ground almonds, oregano, salt, and pepper. Make a hole in the center and add in the Chia goop! 5. Combine the ingredients by hand and, and shape everything together into a ball. It should be loose and sticky, not like a traditional dough. 6. Grease a pan or baking tray with olive oil and put the cauliflower dough ball onto tray. Create a “stop sign” with your hand - so it’s flat and fingers are together. Press dough ball into a flat even layer. Make a ridge around the outside. 7. Spray the top with olive oil cooking spray or lightly dab olive oil onto your hands and coat the top of the crust. Bake for 25 minutes or until golden brown. 8. Peel eggplant + slice into rounds. Sauté in olive oil. (do not salt) Set aside. 9. Once crust is golden, add your favorite tomato base, eggplant + goat cheese and bake an additional 5-10 minutes. 10. Remove + let cool for a few minutes before slicing. Add arugula + basil for garnish. And make a side arugula salad!